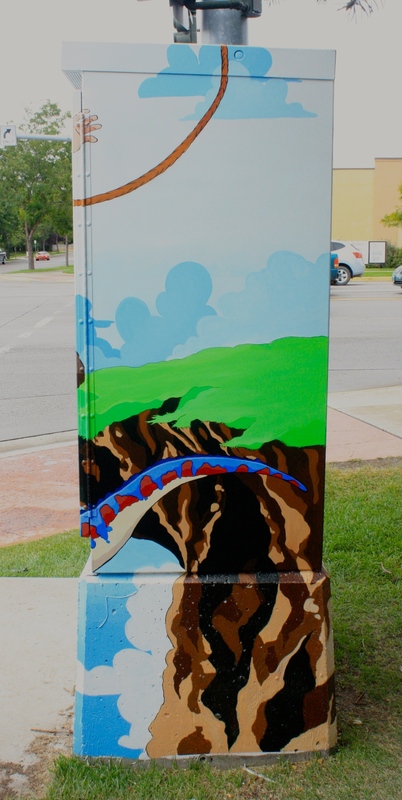 Traffic signal box of 2015 is finally complete! It was quite a challenge this year due to bipolar Montana weather, from hazardous level smoke, to 30mph gusts of wind, to rain. But "Now That's a Cowboy is now gracing the intersection of Reserve and England. So while you're stuck at that interminably long light, take a glance to your right for some dino vs. cowboy action. In honor of Arts Education Week, I will be volunteering my time to work on a new piece live down at the Children's Museum so the visiting kids can get a first-hand view of art in motion. So if you have kiddos to entertain and educate, come down and say hi as I work on a painting inspired by "The Jungle Book".